For the last few years, refugee crisis has been a burning issue around the globe. Recent victim of this crisis are the ‘Rohingya’ peoples, a stateless minority in Myanmar, who were forced to depart from their native land due to ethnic violence. This large number of people needs food, healthcare and proper sanitation. But first of all, they need a proper shelter, which is temporary, low cost, and easy to build and which will provide light and ventilation while protecting from adverse climate. 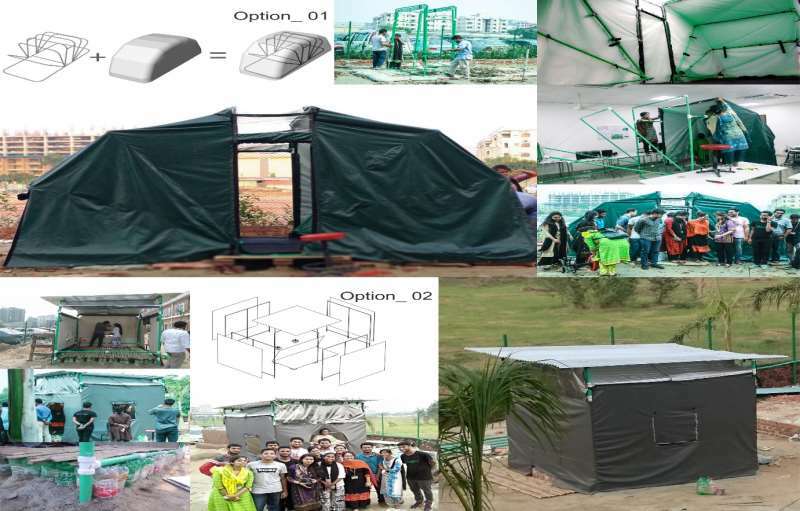 Under such disadvantaged condition , the students of Design Studio VIII, Department of Architecture, AIUB, proposed a project “EMERGENCY REFUGEE SHELTER PROTOTYPE| A HUMANITARIAN RESPONSE THROUGH ARCHITECTURAL VOCABULARY”. 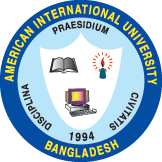 After studying different solutions, the students finally designed and built two prototype modules in real scale for refugee shelter in response to the immediate Rohingya refugee crisis of Bangladesh in the global refugee context under the guidance of their studio instructors Dilruba Ferdous Shuvra and Saiful Hasan Tariq.